This article was written a few years ago, but all this information still applies. However, since the peso to dollar exchange is rate is so good right now (July 2017) , your expenses in Mexico would be even less, while the costs quoted in this article quite likely even higher. I haven’t been to a doctor in the states since 2003 so I would probably have sticker shock if I ever had to go when I go back to visit. This is why I always get Travel Insurance when I go back to visit Kansas City! For instance, as of today’s rate in July 2017, if you withdraw $5000 Mexican Pesos from the ATM here at Lake Chapala, your stateside bank account will debit you only $278. When Bill and I moved here, it was only about 10 x 1, which means $5000 pesos would have cost you $500 USD. Karen, here is my current status regarding the health care. I have listed several items for your consideration. I would ask that you generalize it so not to mention my name or state. Yes, the United States of America should provide fair and equitable insurance to ALL! Yes, the insurance companies should not be allowed to reject individuals as they unfairly do now all in the name of profitability. 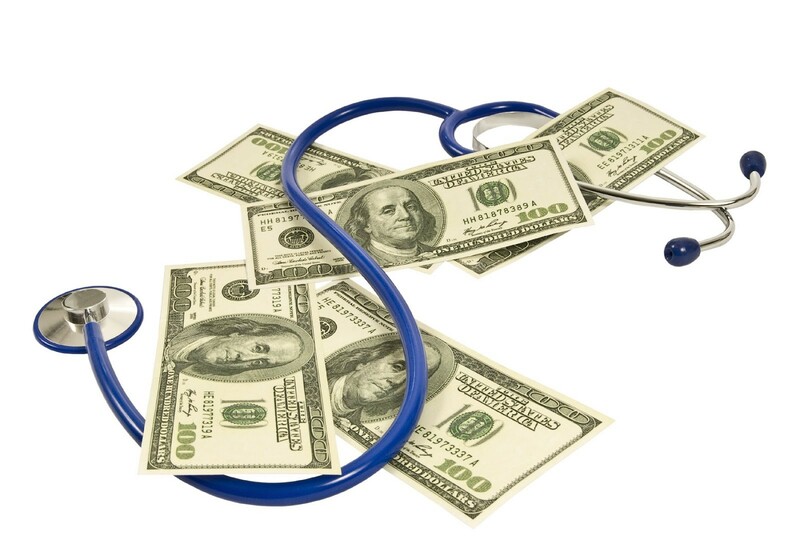 Prior to 2003, I had health insurance provided to me through various corporate sources. In 2004 I had a pulmonary embolism as a result of a required surgery. Fortunately for me, these bills were covered under the insurance I had as a result of COBRA laws. When the COBRA coverage was exhausted, I attempted to apply for coverage through other health insurance companies where I was rejected due to the pre-existing condition I just mentioned. My state offers coverage to anyone who has been covered under the COBRA laws but it is quite expensive. I pay health insurance premiums of $6,600.00 per year. I also have a $2,000.00 deductible per year. After the deductible, I also pay 20% of any additional expenses. I am recovering from a respiratory problem that started November 1st. Since then and up to now I have had two appointments to the doctor’s office and one trip to the hospital. 11/30: Doctor’s appointment; lasted fifteen minutes; the charge is $148; discounted to $107 with insurance. The nurse practitioner diagnosed bronchitis and not walking pneumonia. Cost of drugs $150 discounted to $100 with insurance. 1/15: Doctor’s appointment; lasted twenty minutes; the charge is $148; discounted to $107 with insurance. The doctor ordered a chest x-ray and blood work at a charge of $1,934 discounted to $877 with insurance. I was at the hospital, at most, 45 minutes for the x-ray and blood work. The results showed that my chest x-ray was clear and that there were no problems in blood results. So the total charges for this problem turned out to be $2,380. Even after the insurance discounts, I had to pay approximately $1,200. Next time I’ll take two aspirin. After having lived in Mexico now for over 13 years, I was shocked at these numbers. I’m just not used to thinking in these terms any more. And, to be fair, to compare apples to apples, I had three weeks worth of antibiotics at approximately $223 pesos per week. So…$669 pesos, plus $500 pesos for the doctor equals around $94 USD! Today, if I was charged the same, it would equal around $65 USD. 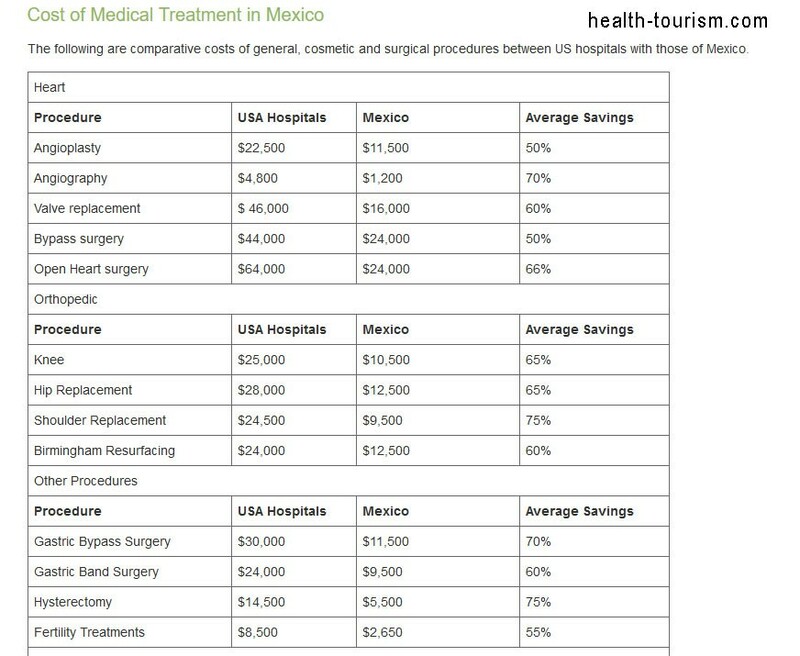 However, I’m sure prices in Mexico have gone up also…it’s hard to compare apples to apples when you’re talking health care. I just know is would be about 30% less, if not more, than you’re paying in the United States. So, it’s obvious that most of our health care here can be taken care of with money out of our pockets. Even if I had had to have a chest x-ray, it would have cost me $500 pesos (around $27 USD at the current peso exchange). I don’t know what her blood tests were for, so am not able to fairly evaluate what they would have cost me. However, I do know that I could have gone to the lab myself and requested the tests. I wouldn’t have needed a prescription or referral from the doctor (thus, no cost for a doctor’s visit). I also know, from a previous experience, that lab tests cost about a third of what they cost in the U.S. Essentially, you have three choices in Mexico regarding health care: local coverage, international policy, or “going naked” (that is, without insurance of any kind, paying out-of-pocket for medical expenses as you incur them). All three can be good options, depending on your circumstances. One thing that will surprise you about Mexico is that often you can get quicker care by specialists (often trained in the U.S., and who speak English!). 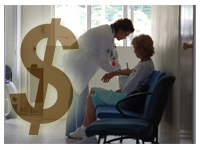 A general practitioner may charge from $2.50 to $35 USD for an office visit. A specialist’s rates can be $40-60 USD, and you get a full hour of caring attention! The reasons are: the lower income of medical service consumers, government cost controls on medicine, the scarcity of malpractice litigation in Mexico and the average earnings of healthcare professionals: medical doctors earn an average of $1,000.00 a month and nurses around $500.00 monthly. And, of course, there’s the IMSS…Mexico’s local, public health care system. It’s a definite plus when retiring to Mexico…it’s cheap, around $300 a year, and adequate. Why so cheap?…few lawsuits. Even Canadians who have free health care sometimes use this system…no long waits for procedures they need. This insurance is comprehensive and provides good care. Another interesting fact to note is that you own your records. Most smaller clinics do not keep records. When I went to the doctor in Guadalajara, he did take down my personal information but did not take my blood pressure. I also always take a medical history with me as well as a page listing all the medications I take currently for each medical condition I have. As I recall, he did not enter any of that information into the computer. Don’t forget to get copies of your medical records when you move to Mexico. It’s imperative for any doctor to have your complete medical background, especially if you develop any problems. You are responsible for keeping your own medical records…you will even be given your individual x-rays and test results to keep and to bring with you to a future doctor and hospital visits. You can also walk into medical labs in most areas and order your personal cholesterol tests and other blood work to keep track of your own health…no doctors’ prescriptions are necessary. All this being said, however, you will find some doctors who take copious notes. During my visits to Dr. Garcia at Maskaras Clinic, he enters my at-home blood pressure notes and exercise sessions into his computer. They also take my weight and blood pressure at every visit, which is kept on my charts on his computer. By the way, he enters all the information himself. He does not wait for someone else to do it! And he never rushes me through a visit even if he’s working me into an already-full schedule. Mexican pharmacies are 50% to 70% less expensive (for most drugs) than pharmacies in the United States. 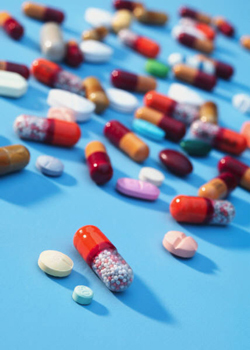 Medicines in Mexico are manufactured by well-known international companies like Pfizer, Roche, Abbot Labs, Bristol-Myers Squibb etc. Medicine from pharmacies in Mexico is as safe as medicine from U.S. drug stores. There’s no tampering at the pharmacies either…all the medicine is sold in blister packs. A Blister Pack is a term for pre-formed plastic packaging. In the Lake Chapala area, we have excellent doctors, most of who speak English. There are two 24-hour clinics that are also small hospitals. Specialists come from Guadalajara every week. One clinic is Ajijic Clinic and the other is Mascaras Clinic in Riberas del Pilar. The Red Cross in Chapala is available for 24-hour emergency care; ambulances are also on call for any kind of emergency. Guadalajara has many modern hospitals for all types of care. When you retire in Mexico, you could have the kind of personalized, professional care that you can only dream of in Canada or at your HMO in the U.S. You can improve your quality of life and the quality of your health care. If you’re considering an area to live in that has excellent medical care, near-perfect weather and all the amenities of home and all the charm of Old Mexico, you should put Lake Chapala on your short-list. Be aware, however, that there are some drawbacks to IMSS and other information you’ll want to know. Focus on Mexico has a 6-day educational tour and will share with you the secrets of how best to utilize IMSS, private insurance, medical plans, etc., so you are getting the very best care possible. During the conferences you’ll learn first-hand from expert guest speakers about the different levels of health care, how to apply, eligibility and costs, and if your coverage back home is all you’ll need. Things you’ll find out on a Focus on Mexico program that you’d having trouble researching online, because of all the misinformation that permeates the Internet. Obviously, the answers to these questions depend upon your own personal situation. However, isn’t it nice to know that we’ve done all the hard work? All you need to do is come on a Focus on Mexico program to find out the answers to your particular situation. C’mon down! We’re waiting for you! Karen McConnaughey: Social Media Maven for FocusOnMexico.com. Check us out: sign up for the newsletter, check out the 6-Day Program, Join the FOM FaceBook page, or check us out on YouTube. Focus On Mexico offers 6-Day Educational Programs to Ajijic and Lake Chapala, Mexico. Join us on a Focus program and learn why thousands of Americans and Canadians chose to retire in Lake Chapala. You’ll get everything you need to help you decide if Lake Chapala, Mexico is the place for you, plus have a lot of fun doing it. Retiring in Mexico couldn’t be better.